WARRANTY 5 YEARS BASED ON CONVENTIONAL USE, AND OBSERVANCE OF PRODUCT MAINTENANCE PROCEDURES. EXCLUDES FAIR WEAR AND TEAR. POLYETHYLENE IS A VERY SIMPLE POLYMER, PRODUCING LOW STRESS HIGH LONGEVITY PRODUCTS IN A LOCAL LOW ENERGY ENVIRONMENT. THE MATERIAL IS USED FOR SURF SKIS, CANOES AND OTHER WATER SPORTS PRODUCTS AND HAS APPROPRIATE U.V STABILISED PIGMENTS. ROTOMOULDED POLYETHYLENE IS AN APPROPRIATE CHOICE FOR COLOURFUL OCCASIONAL FURNITURE AND WITH OUR MAXIMUM VOLUME/MINIMUM MATERIAL DESIGN PRINCIPLE PRODUCES EFFICIENT LOW MAINTENANCE STOOLS WITH VERY LOW MATERIAL USAGE. AND THEY ARE 100% RECYCLED, LOCALLY. 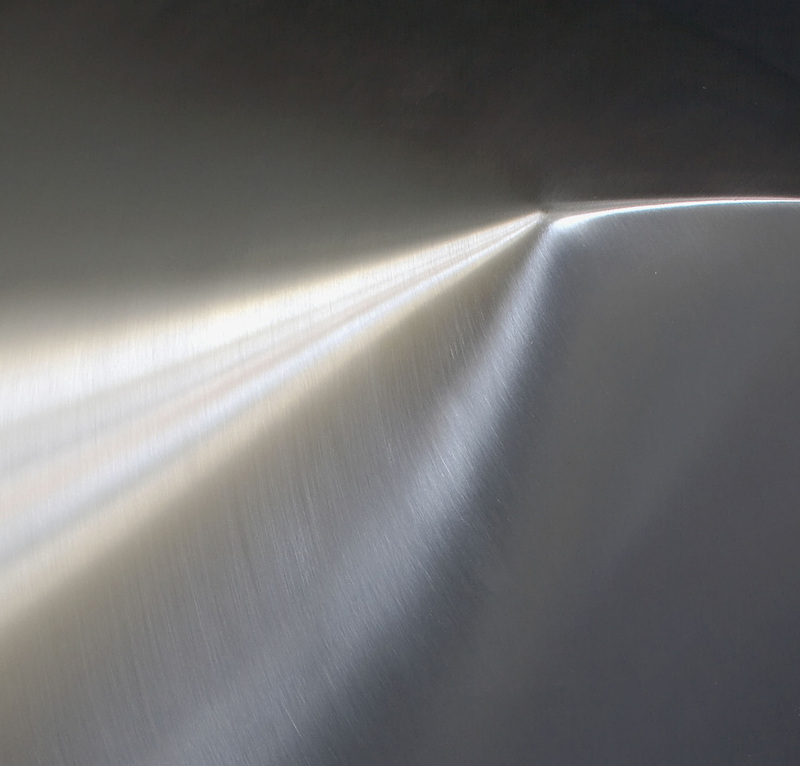 THE ASSDA WEBSITE CONFIRMS THAT STAINLESS STEEL IS DURABLE AND REQUIRES A MIMIMUM OF MAINTENANCE, OUTLASTING MANY COMPETING PRODUCTS AND ELIMINATING REQUIREMENTS FOR ADDITIONAL POTENTIALLY HAZARDOUS MATERIALS SUCH AS PAINT, PROTECTIVE COATINGS, CLEANERS AND SOLVENTS. STAINLESS STEEL IS A VALUABLE SCRAP MATERIAL. IT IS 100% RECYCLABLE AND A PREFERRED RAW MATERIAL INPUT BY STEEL MAKERS. STAINLESS STEEL PRODUCTION INCORPORATES HIGH LEVELS OF SCRAP USE (UP TO 80%). NEW STAINLESS STEEL COMPRISES AT LEAST 50% RECYCLED STAINLESS STEEL PRODUCT AND MORE THAN HALF THE STAINLESS STEEL PRODUCED TODAY HAS ALREADY BEEN ANOTHER USEFUL STAINLESS STEEL PRODUCT IN THE PAST. OUR WORK USES STAINLESS STEEL IN AS PURE A FORM AS POSSIBLE. THE RECYCLING PROCESS REQUIRES MINIMAL DISASSEMBLY. OUR WORK IN STAINLESS STEEL IS DESIGNED TO BE ENJOYED FOR A VERY LONG TIME, EACH PIECE IS HANDCRAFTED AND WILL BE REUSED FOR A LIFETIME BEFORE RECYCLING BECOMES A REASONABLE OPTION.